Double your Rent Return ? 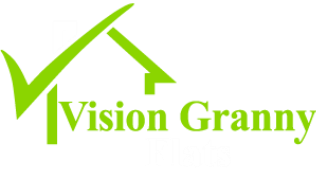 Logan Granny Flats, the largest supplier of Granny Flats in Brisbane & SE Queensland, your true Granny Flat Experts provide an example below of what they are in the process of achieving for some seasoned investors. And we have many examples like this – ASK US HOW WE COULD ACHIEVE THIS FOR YOU ! Yes, all of the above would certainly add value to a property. But have you thought about another option that is fast gaining traction : The Granny Flat Solution. By adding a Granny Flat to the property, you could literally double your rent return. Lets take the example of some savvy investors, young professional couple with two small children. They already have a number of investment properties in their portfolio, but most of them were either negatively geared or at best cash flow neutral. It was at the stage that to continue to invest in property they had to make some of their already existing portfolio cash flow positive. They purchased a property at a cost of $290,500, with total costs including stamp duty and legals $300,958 @ $350pw rent = 6.05% rent return. And it was purchased with the express view leading up to the expected changes within Logan City Council of being able to build a Granny Flat in the backyard. The property is a good size 3 bedroom postwar home in reasonably good condition, but it was decided to install a new kitchen, upgrade the bathroom and do a number of things that were identified as part of the pest and building inspection report on purchase. Land size is just under 1,000m2 – absolutely fantastic for an easy sub division further down the track if they want. They will be able to achieve two full street frontages if and when they decide to split the block. How good is that!! And because of the changes to the local Planning Scheme within Logan City Council, they are able to build a 70 square meter, two bedroom, one bathroom Granny Flat on the property which could be rented for approximately $300pw rent just for the Granny Flat on its own. With the build costs for the Granny Flat we will achieve a 10% rent return. Add the two returns together 6.05% + 10% = 16.05% / 2 = 8% rent return on investment. Any investor would be happy with that ! One of the great things about building a Granny Flat here in Logan is that it’s not a full Development Application, but a Plumbing and Building Application only, reducing the costs enormously. Part of these fees and charges include separate service connections for the Granny Flat so that it can be separately metered and rented out to different tenants to the original existing dwelling. A separate electricity and water meter. We will build a new 6’ high treated timber fence between both houses, so that there is a clear division from the tenants point of view. From the investors point of view, they haven’t had to potentially spend say $60,000 on a sub division, but will still be able achieve the same outcome from a rent return point of view. And so we have happy tenants in a renovated house and a very happy investors, who are repeating the whole process again! But wait, there’s more! Do you have a self managed super fund (SMSF) ? If not, then maybe you should consider setting one up, as you may be able to all of the above within your fund. But they are always changing the rules, you say. That’s true, but in the last 2 years the ATO have clarified issues surrounding the borrowing arrangements ie Limited Recourse borrowing, now allowing SMSF $’s to be used to repair, renovate and improve a property. Borrowed monies can’t be used in all such instances for such work, but other money within the SMSF can be used. What you can do within a SMSF is a complex matter and care should be taken to get expert advice. Maybe this should be something you discuss with your Accountant or Financial Planner. 1 in 3 super funds are now SMSF. And purchasing property within a SMSF has become big business in Australia, and will continue to grow as an avenue to increase your assets into retirement.